We've once again dived into the latest stories in tech, courtesy of our friends at TechRadar, to bring you the most exciting happenings of the day – here we've got news for you on upcoming flagship phones, new computers from HP, and a potential redesign for Gmail. When it comes to flagship LG phones for 2018, we've been focusing on the LG G7 ThinQ, but we've now got news of a potential follow-up: the LG V35 ThinQ. According to a new leak, the phone will feature a huge 6-inch screen, no notch, and a dual-lens camera around the back. If LG sticks to its usual scheduling strategy, you can expect the LG V35 ThinQ to appear a few months after the LG G7 ThinQ makes its debut, for a slightly higher price. Word from the Google development team suggests that the Pixel handsets will soon get a new feature for their Phone apps – namely a spam-blocking tool that stops nuisance calls from ever getting through to you. Incoming calls from recognised spam numbers are sent straight to voicemail, and you're not even disturbed by a notification. Some users are already testing the service and it's slated to roll out to everyone in the coming weeks. We don't have an official launch date for the OnePlus 6 yet, but with stocks of the OnePlus 5T running out all round the world, it can't be too long before the next phone appears. A new official teaser for the phone shows off some of its curves, and it looks like OnePlus has tweaked the design of its flagship handset – the alert slider seems to have been replaced by a SIM tray on the left-hand side, and the device appears slimmer than its predecessor. Gmail has been going strong for 14 years now, but in all that time Google hasn't done much with the interface of the online email app (though it certainly looks nicer now than it did when it first appeared). A new rumour suggests that Gmail on the web is in line for a major visual overhaul in the coming months, so working through that mountain of email will be easier on the eye than ever before. As yet, there's no official date for the update. 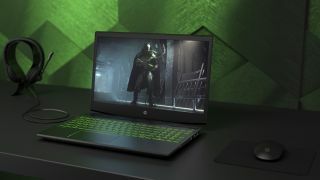 You can usually rely on HP to bring out some quality computing hardware, and it's repeated the trick again with the HP Pavilion Gaming laptop and desktop. Aimed at mainstream or first-time gamers, the machines come rocking i5 or i7 chips from Intel, depending on your preference (or budget), and you get plenty of RAM and storage space too. Prices start at $549 (about £389) for the desktop and $799 (about £569) for the laptop.